He’s a Nebraska kid. He gets it. Being a Lincoln native, he knows the expectations and he’s well aware of the criticisms when those expectations aren’t met. He joked Thursday afternoon that if he had Twitter when he was younger, there would probably be a few angry tweets he’d have to delete. So you can trust when he says that being sidelined for most of last year’s close was hard. He missed the last five games of the year; four of which were losses. Here’s the thing, though. Luke Gifford is healthy and more than ready for 2018 to get rolling. Gifford was sidelined in 2015 too, during his redshirt freshman season. 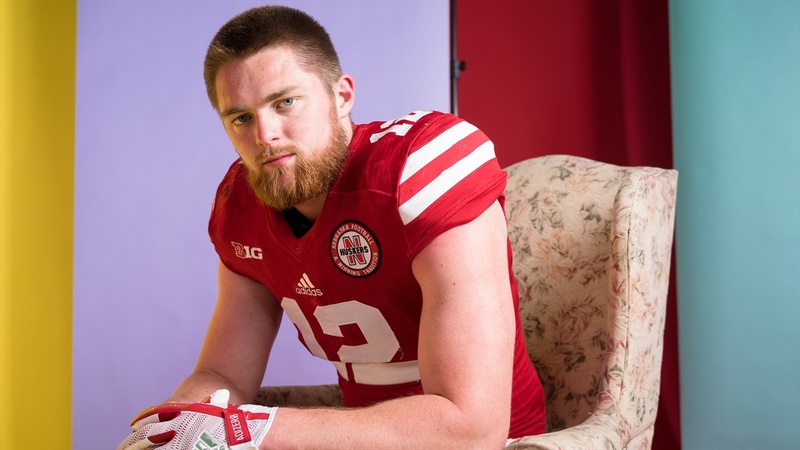 The general consensus surrounding the 6-foot-4, 245-pound backer is if he’s healthy, he’s one of the Huskers’ top guys. It’s just been an issue staying healthy. Regardless of how you look at it, Gifford was a bright spot last year despite playing only seven of 12 games. He just did a little bit of everything. He was good for more than four tackles a game, was third on the team in tackles for loss, logged 1.5 sacks, an interception and a pass breakup. From his outside linebacker spot, he had five run stuffs, same as defensive tackle Mick Stoltenberg. Those aren’t prolific numbers — and from a havoc-creating standpoint Nebraska doesn’t just hope to improve, it needs to — but in the context of last season's defensive production, they're pretty good. And even if you ignore the data and focus squarely on the film, Gifford stands out. Head coach Scott Frost mentioned player health during his time at the podium Thursday, saying everyone that missed time in the spring is ready for the fall. So, yeah, that includes Gifford. Now the only question is where Gifford will be playing after the Huskers brought in Breon Dixon from Ole Miss to play outside backer as well. There’s also guys like Alex Davis, Collin Miller and Tyrin Ferguson, as well newcomer Caleb Tannor, to contend for reps but Gifford is taking the team-first approach. One of the positives Gifford brings to that room is experience. He’s a senior that’s been through as wild a college career as you can have. Throughout most of the offseason, that’s all he’s been able to contribute. A voice in the huddle and an extension of the coaches on the field. With fall camp getting underway, he can do a little more. That’s exciting. “There’s going to be a lot of pads popping,” he said. “We’re excited and ready to roll. The only thing left to worry about now is the practice warm-up.